Wilmington is a vibrant riverfront city flowing with culture, style, energy, creativity and hospitality. The city’s River District pays tribute to both the past and the future by seamlessly blending its charming historic district with the more modern architecture of the developing north end of the riverfront, along with shops, cafes and attractions. For anyone wanting to explore the many sides of the city, here’s a look at several of Wilmington’s unique neighborhoods. Established in 1739, the history of the “Port City” has been influenced largely by the Cape Fear River and the cotton industry. 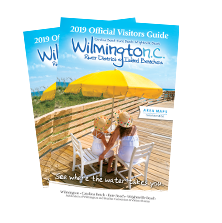 Wilmington played a significant role in the Revolutionary War, the Civil War and WWII. 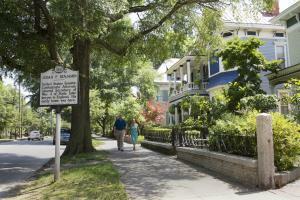 Today, spanning 230-plus blocks, Wilmington’s National Register Historic District is one of the largest in the country and includes seven districts on the National Register of Historic Places. 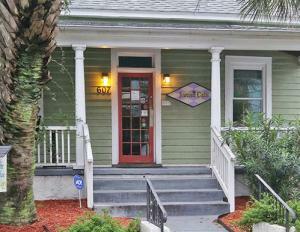 Located a few blocks away from Wilmington’s downtown area is Castle Streets Arts & Antique District. Must-visit spots include Decades of Décor, specializing in mid century and mid century modern offerings; Rx Restaurant & Bar, serving Southern-inspired cuisine with a menu that changes daily; and The Jester’s Café, a quirky house that was formerly a private residence and is now known for fabulous quiche and other lunch items. Cape Fear Playhouse, a 50-seat black box theatre located in the heart of the district, works with Big Dawg Productions to produce a lineup of entertaining, thought-provoking and socially-responsible theater. Located on the historic north side of downtown Wilmington, Brooklyn Arts District is anchored by the Brooklyn Arts Center at St. Andrews. 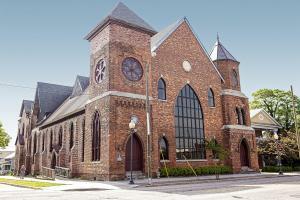 Constructed in 1888, St. Andrews Church was the center of Wilmington’s Brooklyn neighborhood for nearly a century. St. Andrews school building was completed in 1910. Today, both buildings have been restored and refurbished as an event venue. Flytrap Brewing, specializing in American and Belgian-style ales, made its home here in an extensively renovated former office building. Brick + Mortar Coffee & Goods bills itself as having all things manly, including motorcycle parts and apparel, vintage style sparkly helmets, handmade rustic knives, cigars and old-school shaving accessories, and is even known for its signature Cereal Killer Latte specialty cold brew coffee. One of the area’s newer additions, Detour Deli & Café features everything from hoagies and clubs to po’ boys and banh mi. From a family fun park and historic gardens, to golf and shopping villages, midtown has got it. 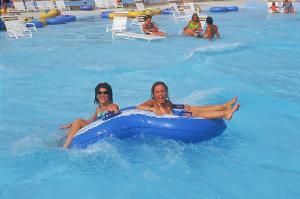 Jungle Rapids Family Fun Park features a waterpark with a million-gallon wave pool, speed slides, lazy river and more, along with dry activities including go karts, laser tag, mini bowling, a rock climbing wall and an arcade. Airlie Gardens features 67 acres of Gilded Age gardens and lakes, including the famous 467-year-old Airlie Oak. The greens were recently doubled and the bunkers restored during a $1.5 million renovation project at the Donald Ross-designed Wilmington Municipal Golf Course. Midtown also offers exceptional shopping opportunities like Lumina Station, where visitors can enjoy locally-owned boutiques and cafes set amidst impeccable landscaping, whimsical sculptures and storybook bridges; and Mayfaire Town Center, featuring over 80 shops, restaurants and the Regal Mayfaire Stadium 16 and IMAX movies.